Catching up on a few recent books of note. First, Anne Holt's In Dust and Ashes, the 10th and purportedly last in the series featuring brilliant detective Hanne Wilhelmsen--and to my mind the best of the series. 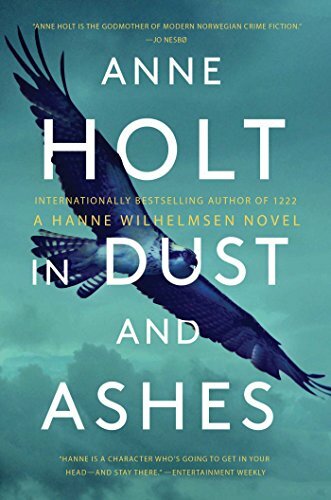 Hanne has usually had a colorful sidekick, and for this novel it's a young, bright detective trying to claw his way up out of the autistic spectrum--among her sidekicks, I think he's the most interesting. The case at hand involves a cold case (and since Hanne is retired, she now only deals with cold cases), a recently released convicted killer, the suicide of a right-wing blogger, and the kidnapping of a young girl. The story includes a twist on the lcked-room mystery as well as the trope of the brilliant investigator who rarelly leaves her home, but the novel is unique in the way it draws all the threads and the tropes together. 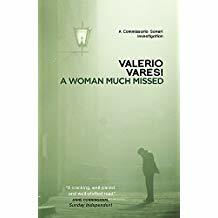 Valerio Varesi's series featuring Commissario Soneri is set in Parma, a foggy city on the Po river in the north of Italy. An older woman comes to the Questura seeking Soneri, but he doesn't see her--and a complex set of events is set in motion that takes the Commissario back to his yuoth in unexpected and unpleasant ways. He discovers the landlady of the boarding house where his deceased wife had lived before they were married, and for the rest of the novel, his wife's life before he met her, the boarding house, and the later denizens of the building haunt Soneri, as he wanders back and forth through the past and present of a city much changed. Although the story can seem a bit static at times, the musings of the detective and the story that emerges slowly are fascinating. 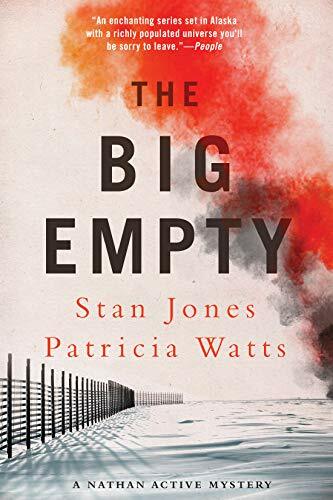 Stan Jones has been publishing a series for some years based in the small town of Chukchi in rural Alaska, featuring policeman Nathan Active, who though a native Alaskan was raised int he white community in the city, and is an outsider in both communities. 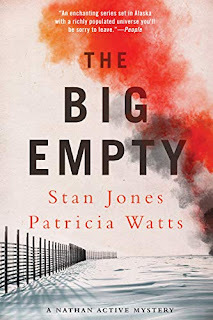 The latest installment, written with Patricia Watts, is The Big Empty, alterntes between the vast interior of Alaska, a setting that Jones has always been effective in portraying, and the gritty small town at its edge. After a plane crash taht had been declared caused by pilot error, Active is persuaded to investigate what turs out to be murder and the novel follows his pursuit of the truth from a unique method of killing through a web of revenge, guilt, and troubled families (including his own. As with all the Nathan Active books, this is a great read and a fascinating look at an environment (both town and wilderness) that few of us have the chance to experience. 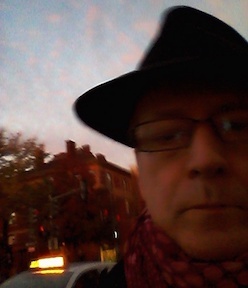 my name is Yigal Zur - Israeli thriller writer. love your blog and would like to send you my thriller for review. title: Death in Shangri-La"